Control of your emotions is necessary to enable you to handle a threatening situation with confidence and sound judgment! Brooke Bingham is the student of the month for May 2013. Brooke started with AASD in August of 2012. Brooke enjoys all aspects of her martial arts training , especially sparring. Never at a loss for words or enthusiasium, Brooke can always be counted on to put out 100% effort and then some. 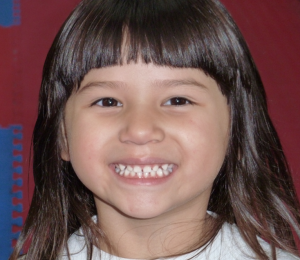 The biggest smile is another trait that could describe Brooke, and a never quit attitude. Sifu Rick would like to salute Brooke’s parents, Kurt and Anne, for all their support of not only Brooke, but of our Black Belt School as well. You may feel as though you know it all. You may feel as though others have nothing to teach you. You may even believe that a good education alone will take you where you want to go. The reality is that there is always more to learn. Be open-minded, observe others, listen to what they say and try to find value in their ideas. Be open to the fact that everyone’s ideas are worthy of consideration. You can learn valuable lessons from even the least likely people! The world is full of opportunity, if your eyes and mind are open. Many people don’t like change; however, so they will pass on a good opportunity to avoid change. Closing your mind in this manner is apt to stop you from achieving your goals. By opening your mind to change, you open more doors. Read books and magazines, scan the Internet and seek out new ways to learn. Watch educational shows and motivational movies and listen to audiotapes. Take extra classes, attend seminars and workshops and participate in extra-curricular activities. The more you seek, the more you will find. When you open your mind; you maximize your growth. “Experience happens when you’ve made that mistake” is a good philosophy to adopt for yourself. In other words, until you (or anyone) make a mistake, how exactly do you learn how to avoid the same error in the future? The answer: Open your mind and listen to the ideas and suggestions of others. You should be able to learn from their experiences to help you improve your life: family, friends, work, etc. Don’t limit yourself by ignoring others; liberate yourself by listening. Everyone admires the bold, courageous and daring: no one honors the fainthearted, shy and timid. Make a personal decision to do what it will take to succeed. You must study. You must practice. You must be tested. You must boldly welcome the challenge of exceeding other’s expectations of what they think you can do. To me, martial arts is more than a word or a sport; it’s a way of life. Martial arts has made me think of everything with a different perspective, and also the way I view myself. I feel the martial arts has made me a better person, physically and mentally. Most importantly, it gave me respect for myself and for others. For me, martial arts is like building blocks that never end. It keeps me alert and aware of my environment. It has also improved me, physically. I have more stamina, and I’ve also become more responsive and agile. I try to set goals for myself to become an even better martial artist and person. Then I rate them on a scale of 1 to 10 and try my hardest and push myself to achieve them. Martial arts has now become a part of me and what I am. I am proud and honored to call myself a martial artist. Anthony Fulginit is a student at John McGonigle & Johanna Grassia’s Martial Arts Lifestyle Center. For the first time, since the U.S. has been an industrialized society, there is a strong likelihood that life expectancy will actually decrease this century, according to leading researchers. This is one of the expected consequences of the worsening global obesity epidemic. It also means that, even with all the advances in medicine, you, because of your actions and decisions, are still the key factor in controlling your health and your life expectancy! Everyone knows some of the negative health effects of being overweight: blood sugar problems (diabetes), lung and other organ problems, increased risk of certain kinds of cancer, joint problems, etc. All of these effects are directly related to your weight. A poor diet and a sedentary lifestyle are likely to have numerous other negative impacts on your health and longevity, which are in addition to their impact on your weight. Now is the time to take control of your destiny. If you haven’t already done so, start eating more healthfully. Even tiny changes are likely to make huge differences in your life. Take something as simple as the beverages your drink or the breakfast you eat. Think about how many empty calories you’ll be able to eliminate simply by drinking water with a meal instead of soda, or eating a serving of whole grain cereal instead of a donut for breakfast. All those tiny changes will have a huge impact on all aspects of your health and well-being. Once you start making changes, you will see those changes snowball into a complete healthy lifestyle. Physical activity is the other central component of a healthy lifestyle. 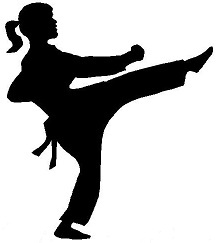 The martial arts is the perfect program in the perfect environment to become and remain physically fit. To increase your longevity and to maximize the positive impacts of physical activity, you need to take a “holistic” approach to exercise. The martial arts provides that and more: physical activity personalized for your fitness level, an enjoyable and commitment-based program to ensure your continued training, and mind and body wellness instruction. Regular physical activity will also snowball into a healthful mind and body lifestyle that will help you beat the odds during this obesity epidemic.